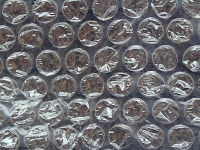 Someone told me you shouldn't pop bubble wrap cos it has toxic gas inside. Yes, I believed them. Yes, I really am that gullible.